he 6th Rallye Monte-Carlo « ZENN » (Zero Emission – No Noise) is open to competitors with an electric vehicle whose autonomy is less than 250 km. 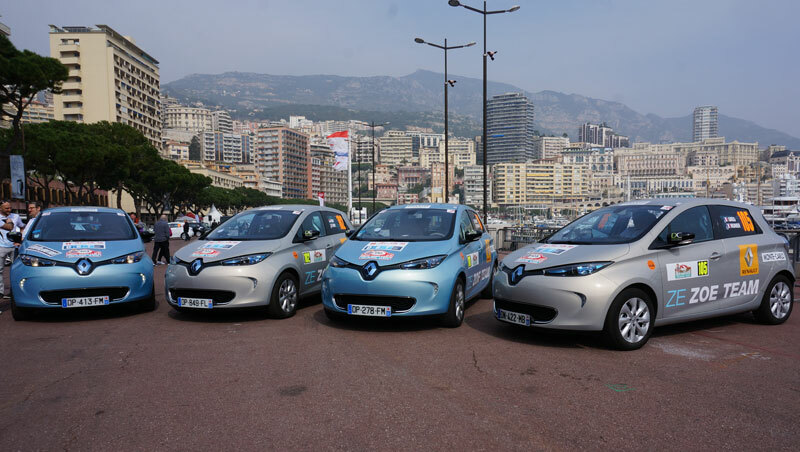 Renault innovates this year by giving the key of one of its Renault ZOE to one selected blogger. 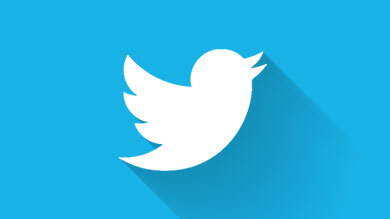 Discover his experience. Who would have imagined it? 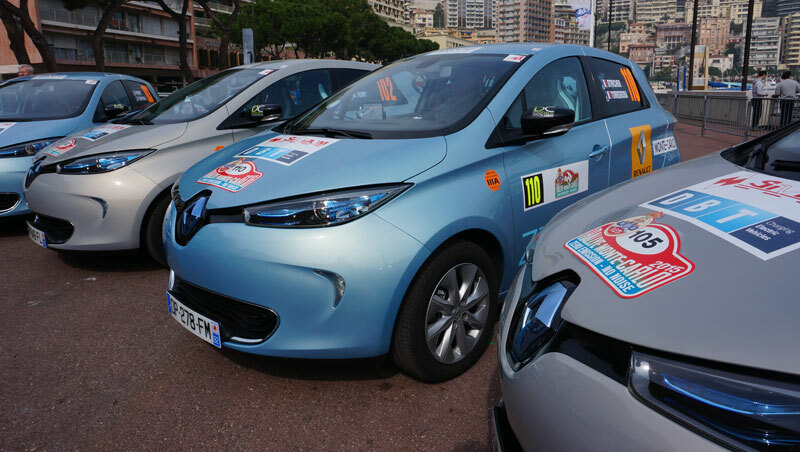 Renault ZOE in the Monte Carlo Rally? 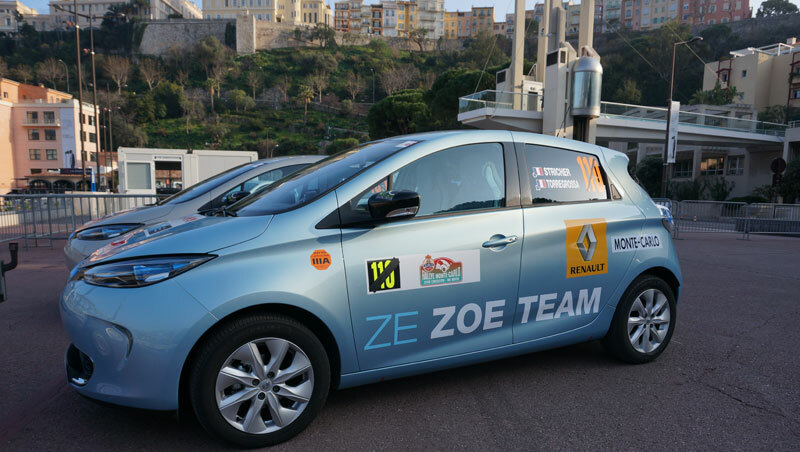 Just a couple of weeks after the World Rally Championship event, ZE ZOE TEAM arrived at the port of Monaco to defend its ZENN title, in a rather special environment. Riding with ZE ZOE TEAM! Whereas the WRC is all about speed, the Monte Carlo ZENN Rally (for “Zero Emission No Noise) puts the emphasis on regularity. The challenges are completely different in this event, the preserve of electric vehicles, included in the FIA Alternative Energies Cup. 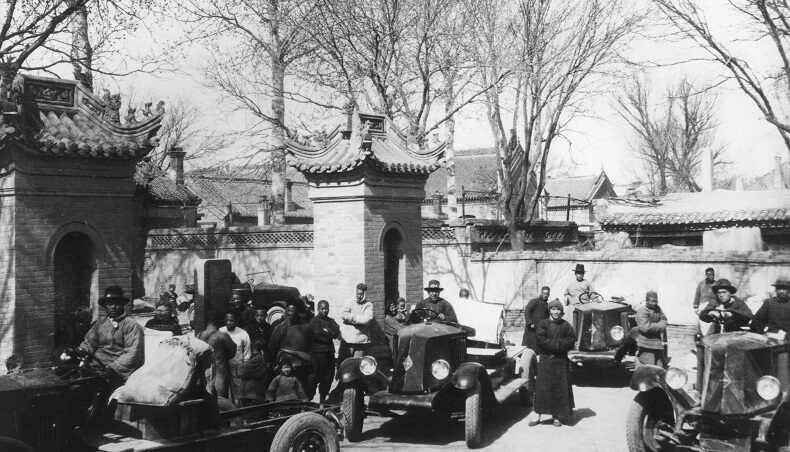 As in any other rally, teams drive in traffic to complete timed legs. The difference is that rather than trying for the shortest time, teams are here trying for regularity: the Monte Carlo ZENN Rally is run on the open road under a set speed target. Once the set speed is known (between 37 and 50 km/h for this sixth ZENN Rally), the copilot has to calculate the ideal time and guide the driver toward maintaining this speed under all circumstances. 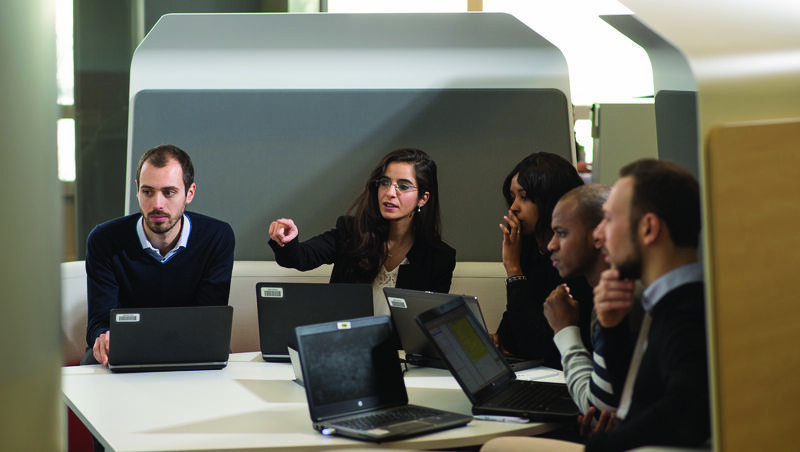 This means what it says, because there are GPS spot checks throughout, and the team pays a penalty point for each second's deviation from the ideal time. Over the two-day event there are five trials, with more than twenty spot checks. The winner is the team with the fewest penalty points. Renault has won the Monte Carlo Rally six times in all, starting in 1925 with a 40CV, then with a Nervasport and a Dauphine before the legendary Alpine period of the nineteen-seventies and the Renault 5 Turbo victory in 1981. Renault also shines in the vintage category, with the Alpine-Renault A110 winning the Monte-Carlo Historique event in 2013. 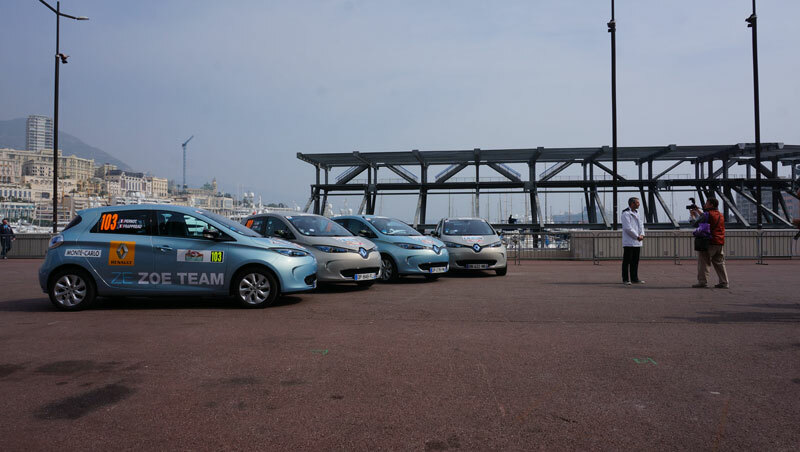 And Renault is now a leading light in the electric power event, named Zero Emission No Noise: last year, Greg and Yves Munier won by a narrow two points ahead of the previous FIA champions. For this sixth ZENN Rally, Greg and Yves are once again there at the starting line, team captains as it were. 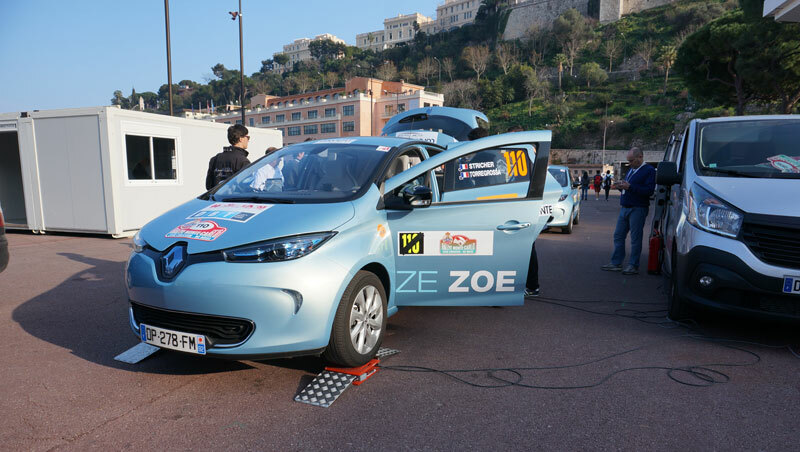 They prepared the four ZE ZOE TEAM cars, fitting them out with chronometer and trip meter interfaced with a front wheel. This provides valuable realtime information on exactly how far the car is leading or lagging with respect to the set time. And the Muniers also put together a very detailed roadbook enabling drivers to offset possible deviations produced by hairpin trajectories. An initial reconnaissance run showed that it's going to be very difficult to both follow the set route and stick to the set time. 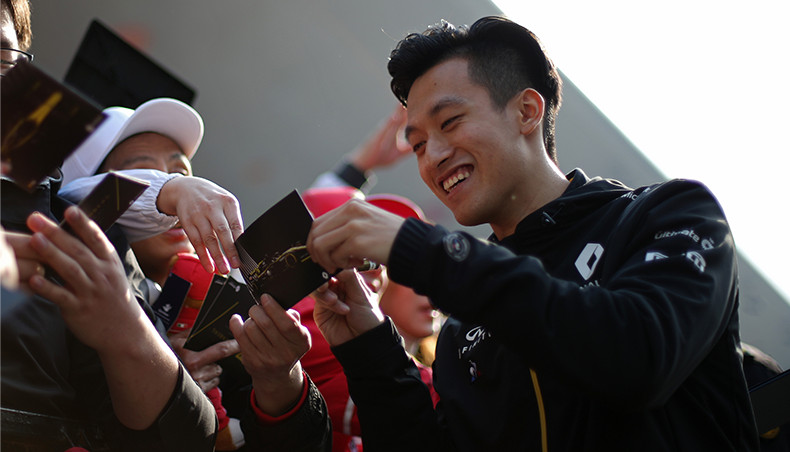 We're also bearing in mind that there's a special trophy for the team that achieves the lowest ratio of electricity consumption by car weight. 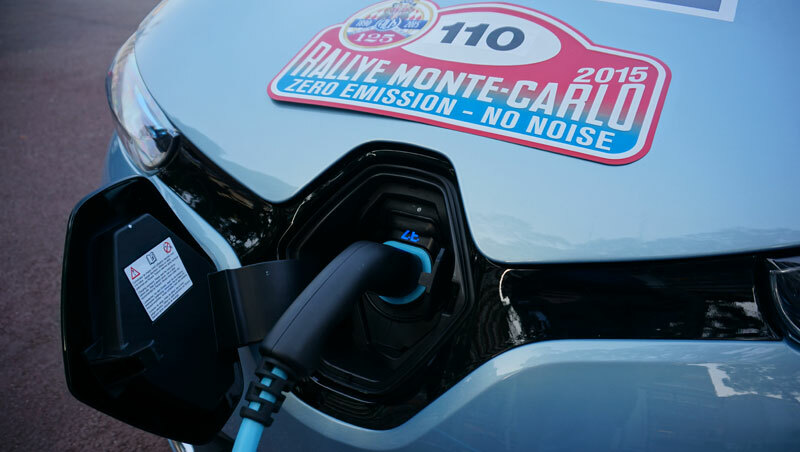 For the time being, our Renault ZOE, sporting the number 110 (a significant figure for Renault at Monte Carlo) is plugged in, ready and waiting. The rally starts at 15:30!